Plaster is all gone! Nothing left on the walls and the ceiling but lathe, and that’s coming off next. 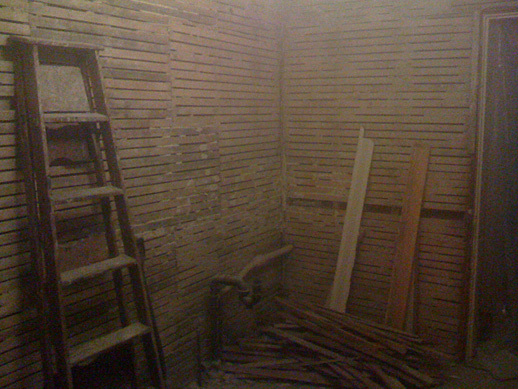 I have to say, removing plaster is a dirty, heavy, and hard job. 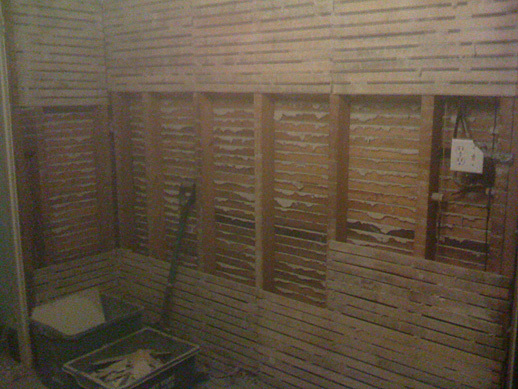 Thankfully the ceiling came off far easier than I had expected it to. Note the knob & tube wiring in the second picture. Part of the next great adventure! I love the way you get some impression of how dusty it was from the graininess of the pictures.